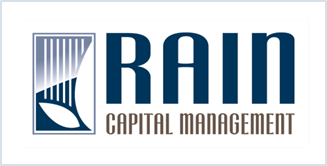 Rain Capital Management | Last Call! The job of the Federal Reserve is ‘to take away the punch bowl just as the party gets going’ as one Fed Chairman once said. Typically the process has started with a hike in short-term interest rates, a step toward the exit with the punch bowl in hand indicating the economic party was getting raucous. Never in the past has the Fed sounded a bell or yelled ‘last call!’ before the bar closed. The concept of exit in a zero interest rate environment is a different beast, however, and St. Louis Fed President James Bullard just gave us the equivalent of a last call in his remarks last week in New York. The Fed decided to remove dates in favor of threshold values of inflation and unemployment for policy guidance because the board was concerned forward dates were sending an unintentionally pessimistic signal. That is, the economy is more robust than the Fed has been signaling. 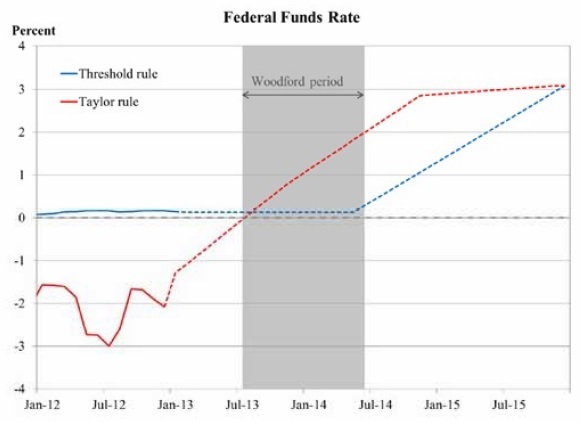 “Ordinary” monetary policy would justify a rate hike in August 2013 if the Fed were working strictly from the Taylor rule (only accounting for inflation, the output gap and unemployment). That is, the Fed seems to be indicating that markets should prepare for the back end of the yield curve (where the Fed has distinctly less control over rates) to back up sooner than later.